The 4588 Airliner Rod Tube has a unique three-tier design and a five inch diameter which makes it easy to store up to eight 7-foot rods. This case extends to 88" in length and collapses to 47" for easy transportation. Stores up to eight 7-foot rods. 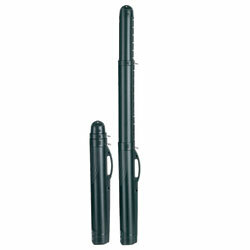 Extends to 88" and collapses as small as 47" for easy storage.